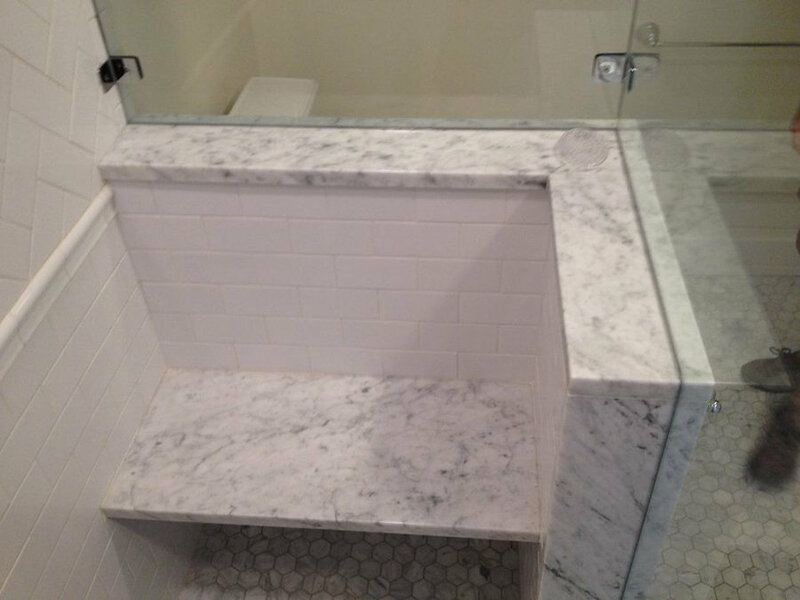 This Carrara marble bathroom was part of a larger in law apt build that we completed in Chester CT. 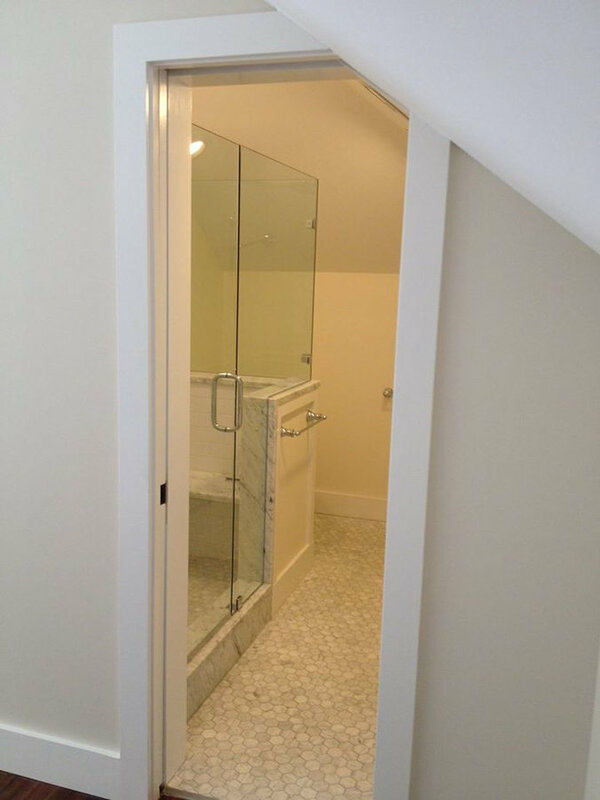 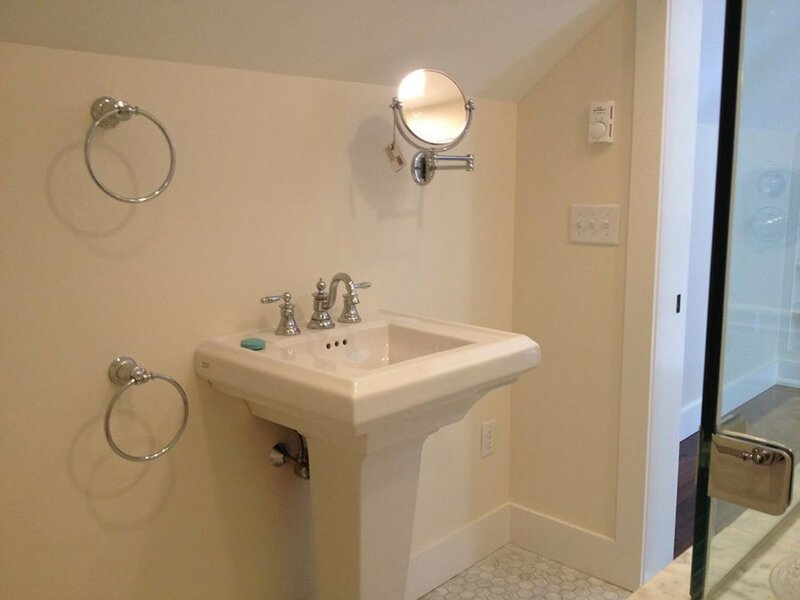 The bathroom had many design challenges because of the hipped roof above. 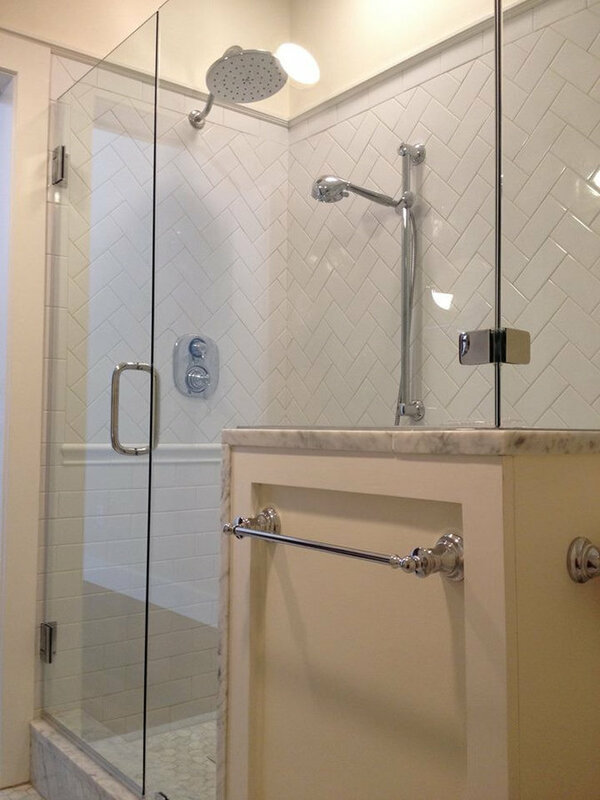 It features a pocket door that dives into the roof line, herringbone patterned subway tile, custom glass accents and a floating solid carrara bench. 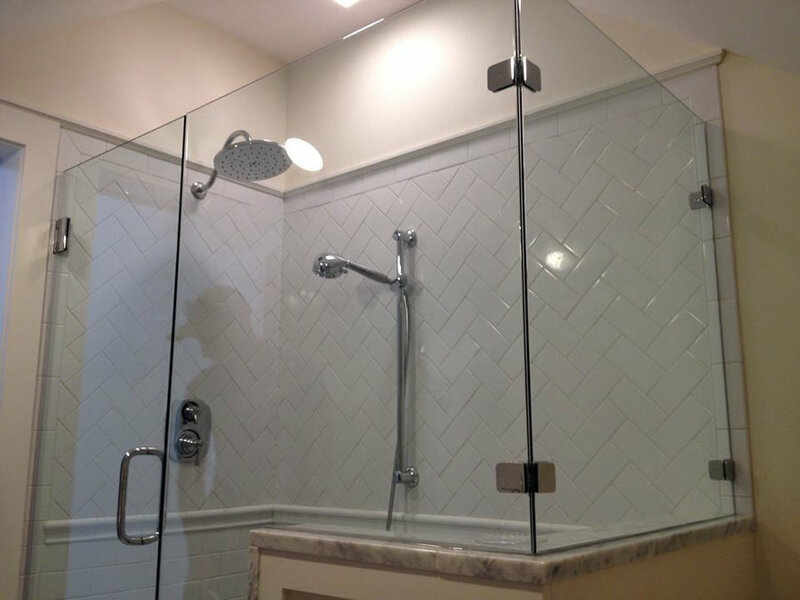 Many thanks to Solomon Clark our tile guy!